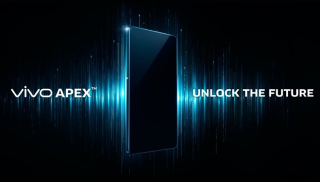 Vivo’s Apex concept smartphone has a vibrating screen instead of speakers | What Hi-Fi? It also has a periscope-like front-facing camera, a huge OLED screen, and integrated DAC and amps to save circuit board space. If a phone has no speakers, how can it play music? That may sound like the start of a philosophical conundrum, but Vivo might just have the answer. The company's 'Screen SoundCasting Technology' turns the entire display into one big speaker. Vibrations are sent through the screen instead of through smartphone speakers, using less power in the process. Vivo claims that its tech cuts sound leakage, and optimises low to high pitch sound, so users will get a better audio experience when playing their music out loud. The new smartphone also uses 'System in Package' (SIP) technology, which integrates the DAC and three amplifiers together inside the phone. This cuts the space required for the circuit board down by 60 per cent (compared to older Vivo Xplay6 phones), leaving space for a bigger battery. The Apex also features a FullView OLED screen (although we don't know the resolution yet) with incredibly small bezels and a 98 per cent screen-to-body ratio. The 8MP front-facing camera elevates upwards, out of the phone's body like a periscope, and the fingerprint scanner is built into the screen, so you can touch anywhere on the lower half to unlock it. There is also a dual-fingerprint mode for greater security. Whether this phone eventually goes from concept to full production remains to be seen, but it's nice to see some innovation when it comes to getting better picture and sound performance from your pocket-sized companion.